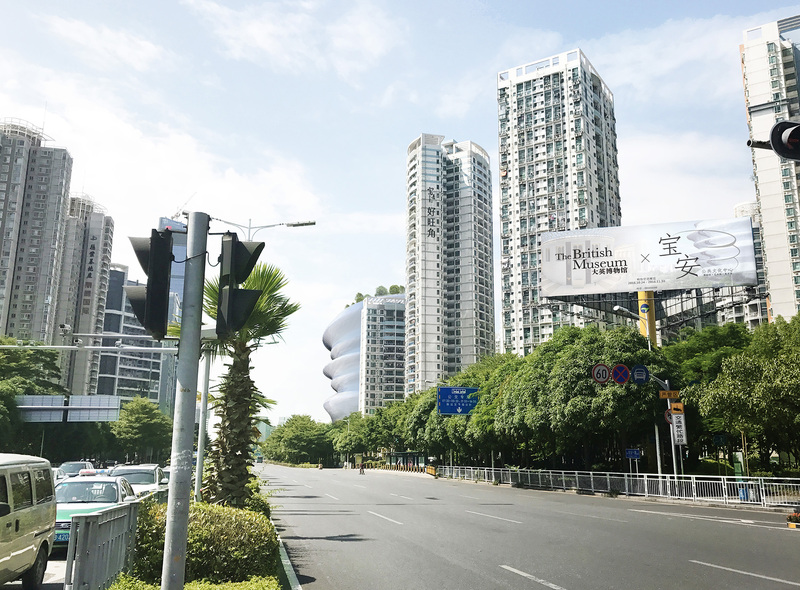 Today’s Shenzhen is not just a modern city, but the merits of its geological location make it also a cultural melting pot. 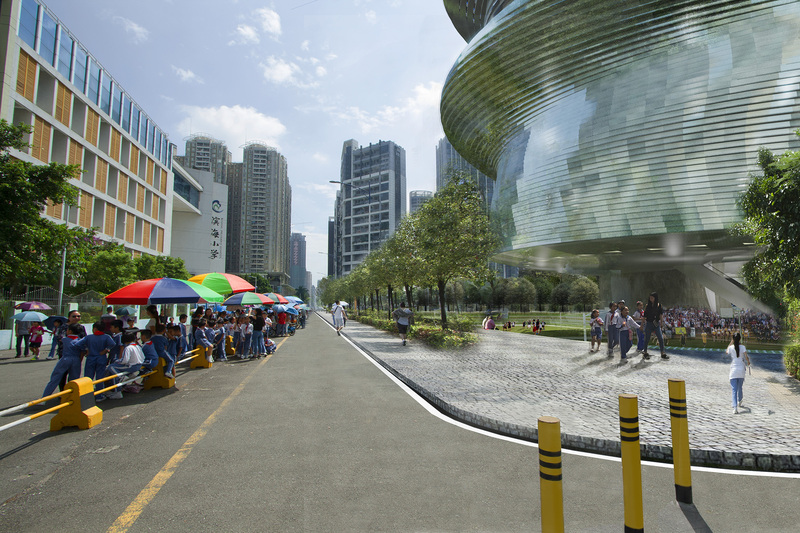 The new public cultural and art center needs modernism to correspond the pace of Shenzhen’s development, yet practices the significance of cultural inheritance. 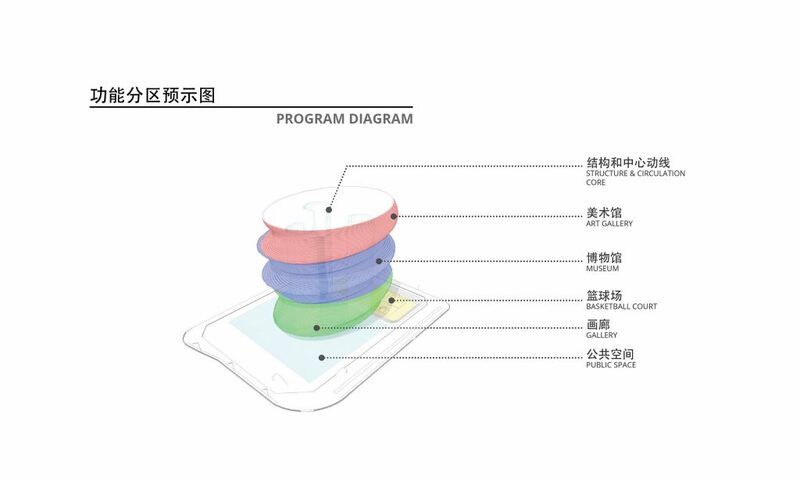 Hence, the concept of our design is led to explore Chinese traditional pottery art through contemporary methods upon the given site context. Chinese pottery has a long history and has been world’s leading for long. 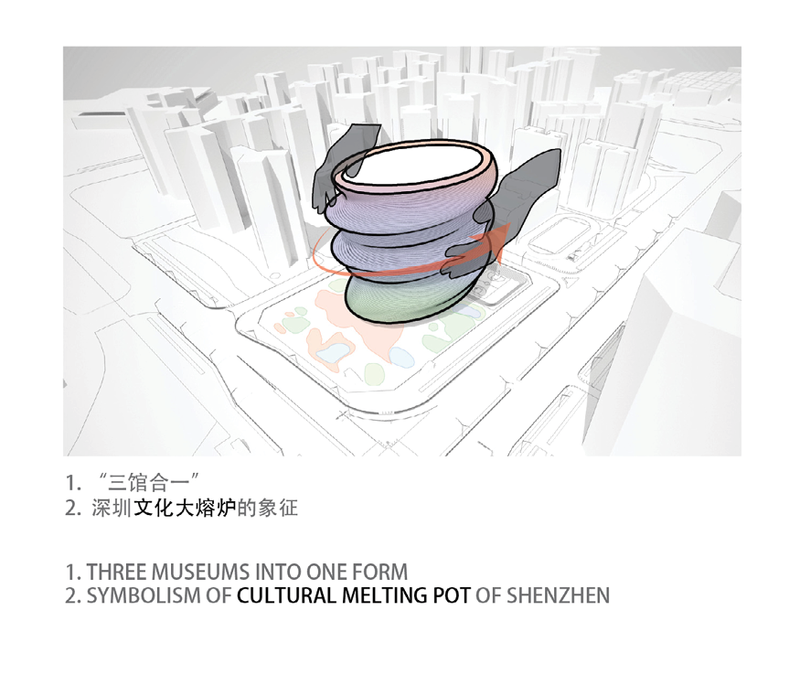 The process of pottery shaping becomes a metaphorical mass formation for mixing the three different cultural buildings together. They support each other structurally and aesthetically during development. 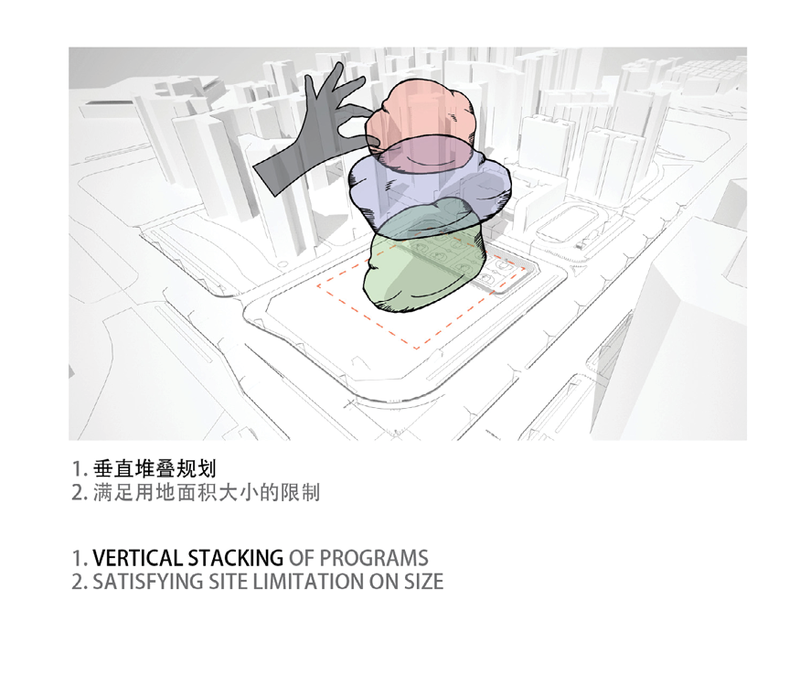 Our design is not solely providing Shenzhen with a cultural landmark, but together with the adventurous and prospective shape of the design, the public art center will gain reputation around the world and strengthen the cultural influences. 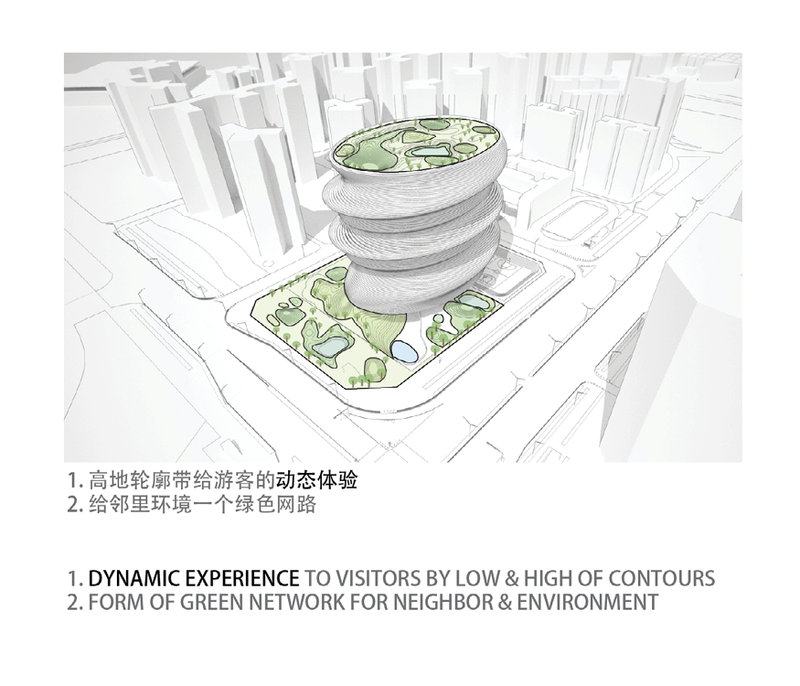 This design mainly consists of six parts, which are, from top to below, roof garden, art gallery, museum, gallery, public open space and underground parking respectively. The circulation of the public center is a simple composition of two patterns: the ramps which go through the whole gallery and museum and the vertical circulation. Visitors may choose to slowly walk along the ramp to enjoy the gallery, and then they will continue the visit to the museum by another ramp or the art gallery by stairs or elevators and eventually reach to the roof garden on the top floor; on the other hand, they can simply take the elevator and visit wherever they want. 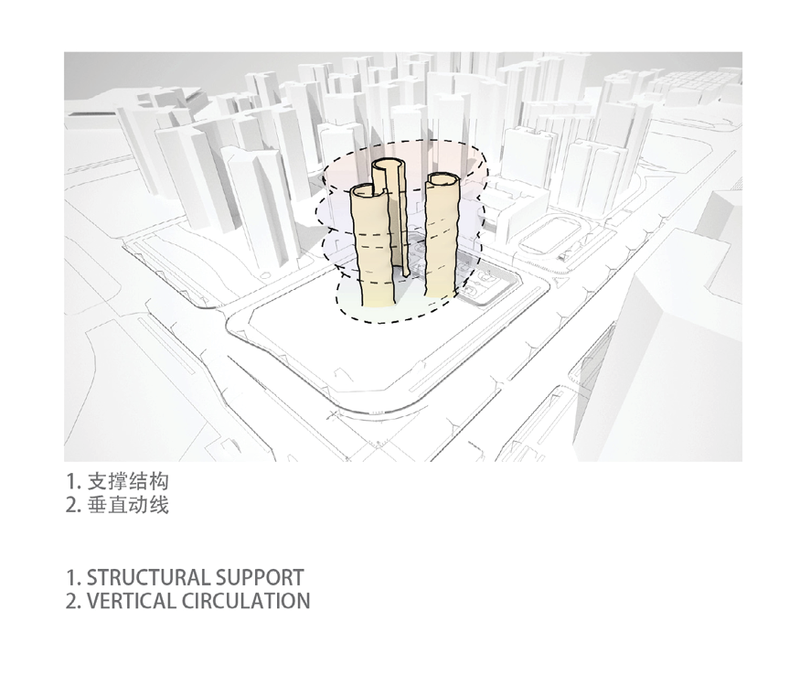 In order to increase the service quality and efficiency, there are three sets of vertical circulation throughout the whole building. Each set contains stair and elevator so as to make the visit more convenient. The bottom of the building is intentionally raised up by the three large columns. 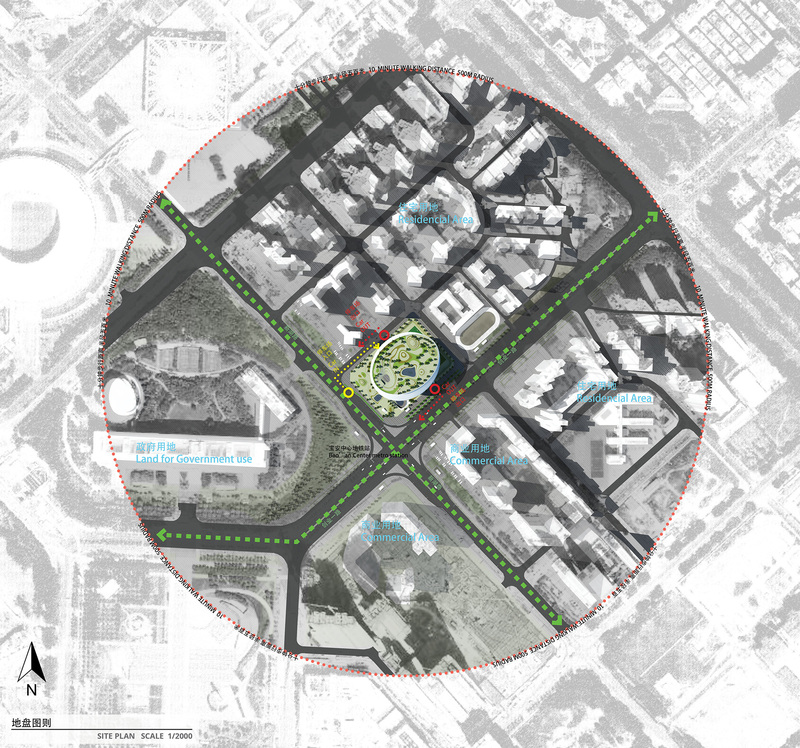 This enriches the openness and spatial quality of the public open space on the ground floor while manages to retain the environmental harmony with the surrounding and further encourages the spatial communication. The gallery, which is three stories high, is inter-connected with an opening in the center and allows the visitors to look inside from the ground floor lobby, attracting more people to visit. 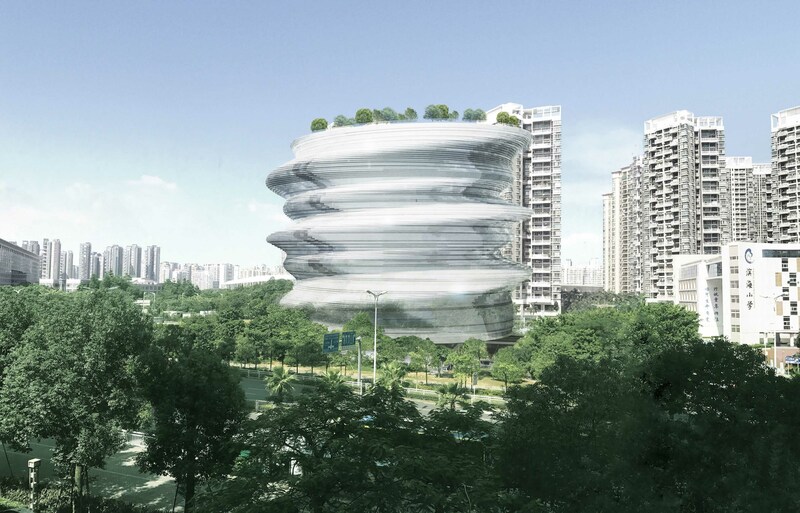 In order to match the dynamic shape of the building, landscape will go with a vivid streamline design and bring vitality to the space. Rich spatial quality, dynamic design and a variety of exhibitions are believed to become popular among the youth. This will be a good chance to increase their interest in culture and enhance their knowledge in relative fields, therefore facilitates cultural inheritance. 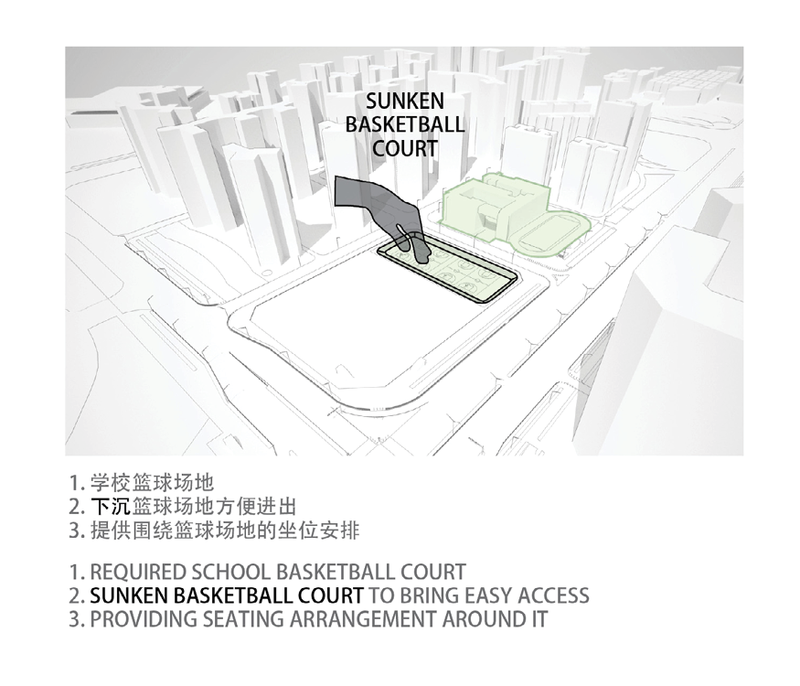 Costal Primary School’s sport field is located at the back of the public center and sunken down for three meters. 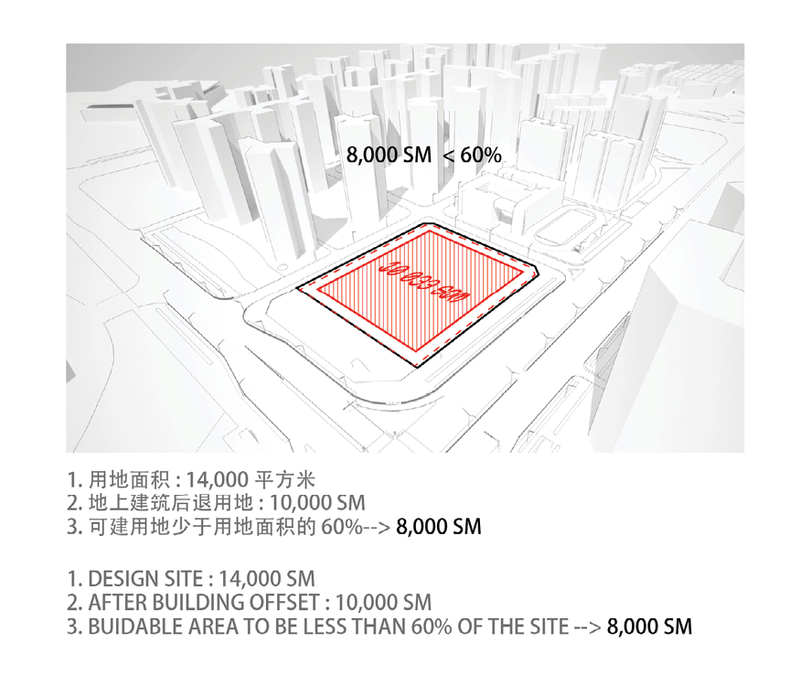 The sport field will be semi-private which allows easy access to the field by just a few steps down the stepped landscape. In addition, the stepped arrangement will provide seats for students and public at the same time. 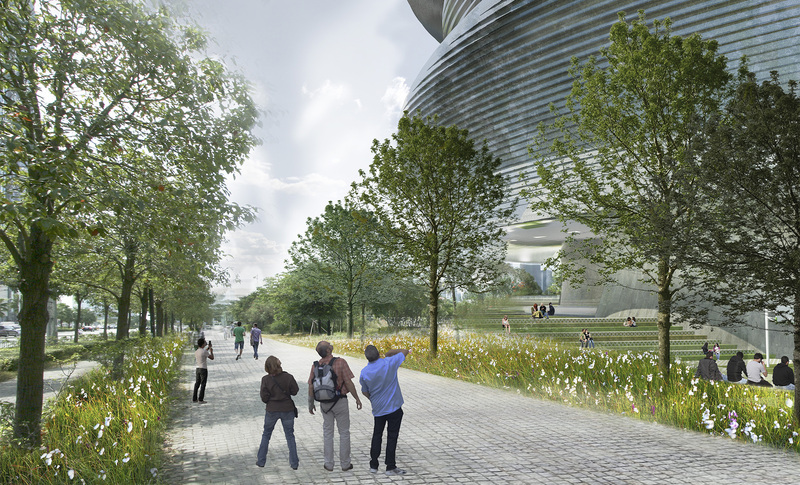 While using the fields, they will also get involved in the landscape of the public center and enhance their interactions. 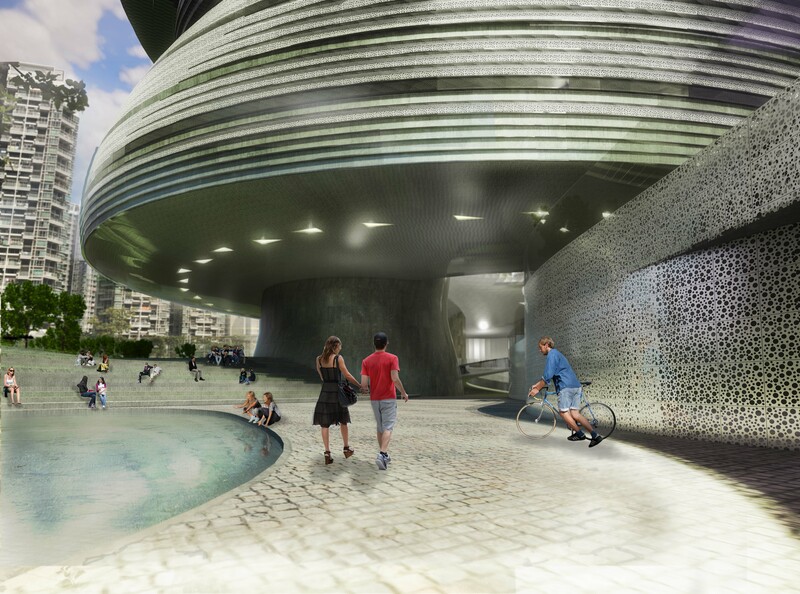 Besides, the basement floors also contain the center’s public open space, bicycle storage and a connection to the metro station which makes the visit easier. 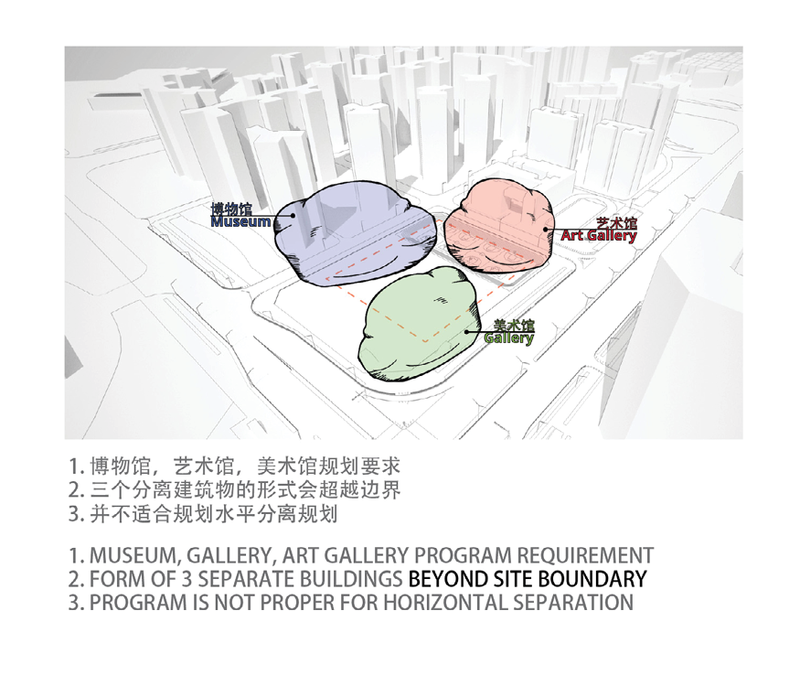 As per designed in our proposal, we believe the Bao’an Public Cultural and Art Center will become the milestone in culture of the western shoreline.